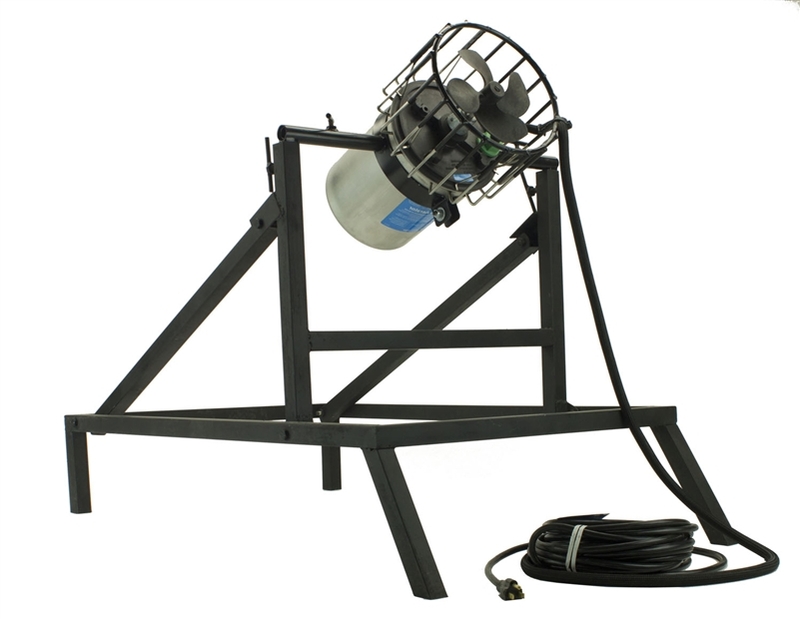 Powered by the reputable Kasco marine de-icer motor which has been an industry leader for de-icing equipment for over 40 years, the ice Blaster will virtually eliminate any previous ice problems in your spread. Features include: Wire protective cage that pulls water flow 360 degrees past the impeller so there is less restriction to water flow. With this small footprint and lack of an outer housing, there is no issue of debris clogging up behind the motor. The motor is a small compact unit that is easy to carry off of the stand. Specially matched propeller with maximum pitch for the exact thrust of motor. Your Ice Blaster is not limited for just cold, iced-up conditions. Run your Ice Blaster during those really still days to create surface-ripple and much-needed decoy movement. Comes with 100’cord and stand. 3/4hp comes with large frame.